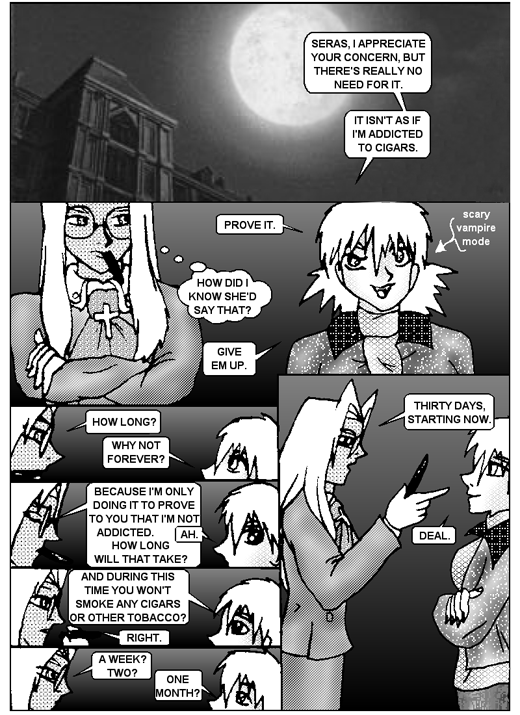 In a moment of boldness, Seras challenges Integral to prove that she’s not addicted to cigars – by going cold turkey for thirty days. Is Integral going through withdrawal, or just angrier than usual? Not sure. 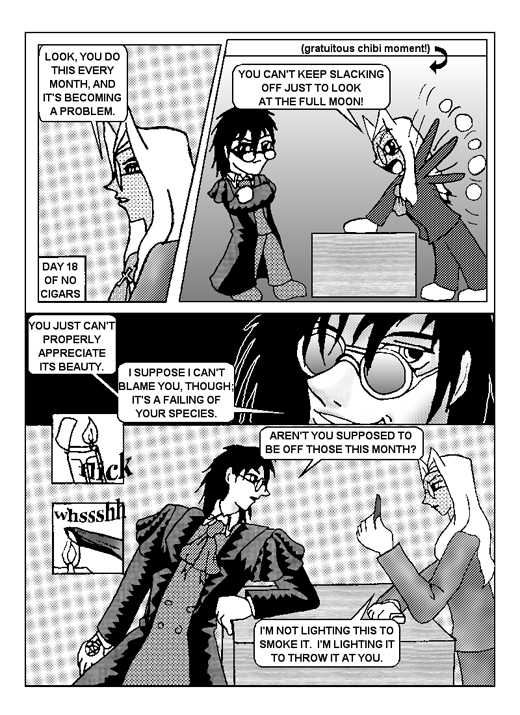 Can Alucard turn this into new and innovative ways to be irritating? You bet. 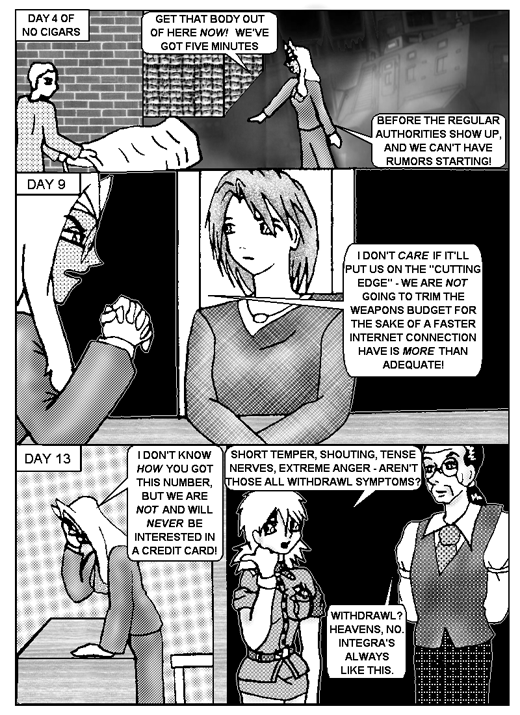 Used this story to practice manga layouts. Seras: It’s a beautiful night, I can already tell! And I’m off duty tonight… I can look at the stars all night! And I was right! Just look at at that sky! Integra: May I suggest you spare an eye to look in front of you? 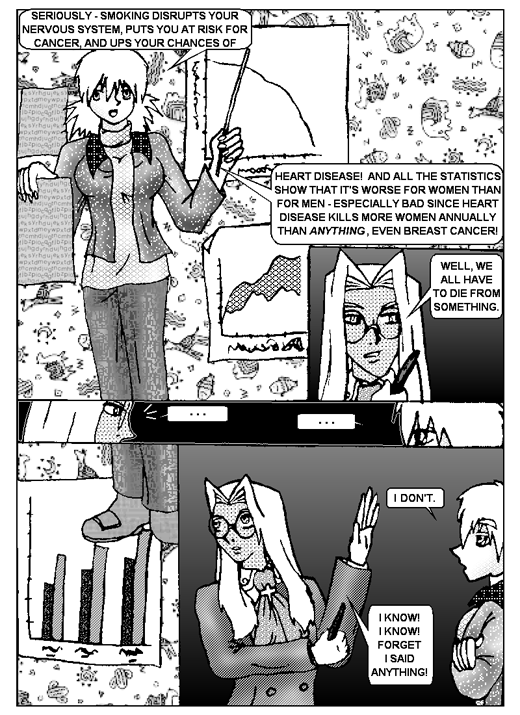 Day 27 Integra: What are you doing, police girl? 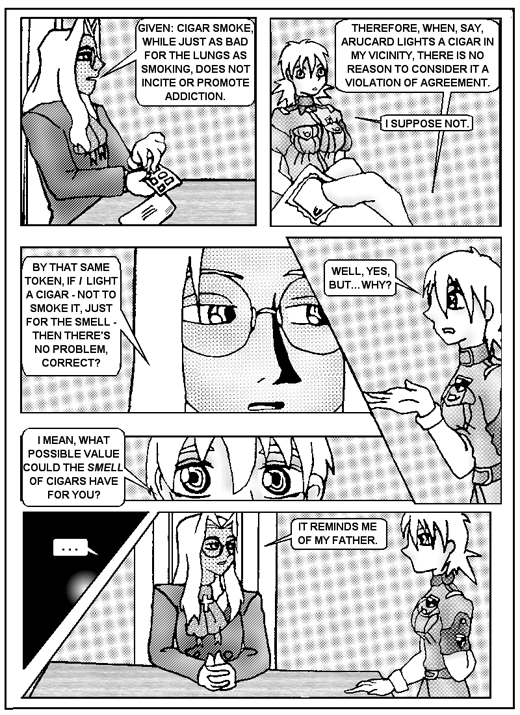 Seras: Smelling. I can smell…something…suspicious. I’m trying to track down the source… Hmmm… Your clothes reek of cigar smoke. 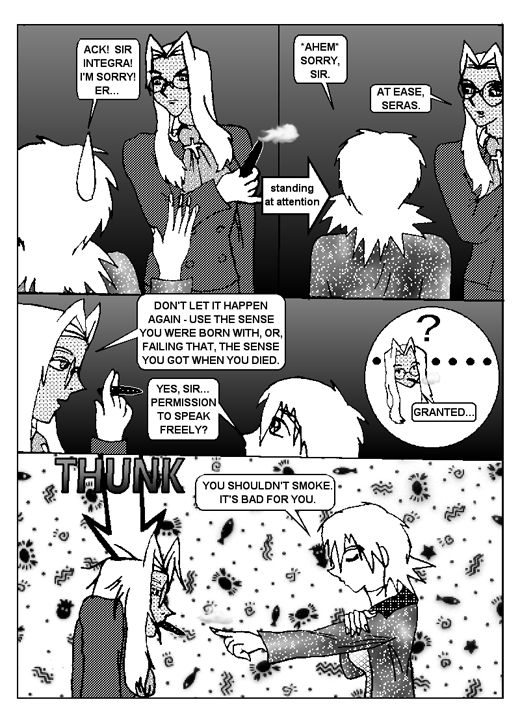 Integra: Do they now.